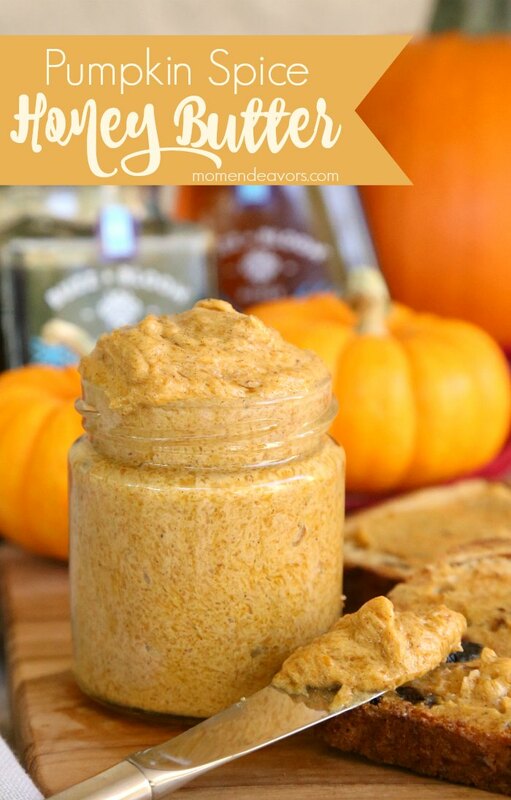 This pumpkin spice honey butter is perfect for fall. SO good! And SO easy to make! 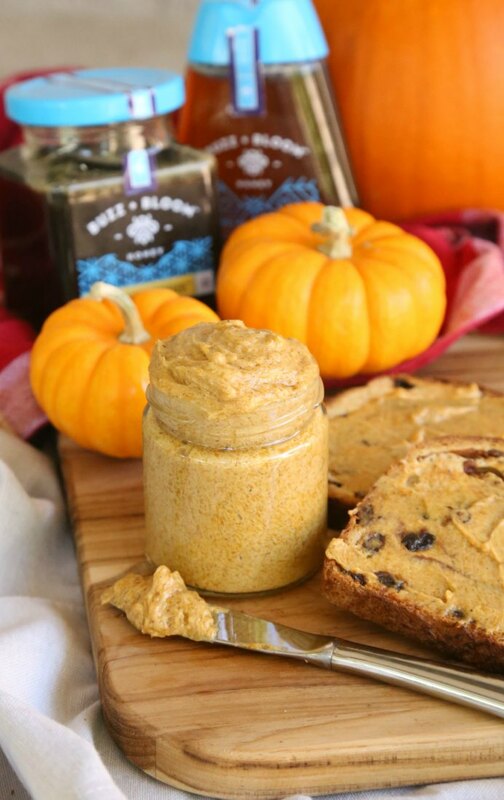 This pumpkin spice honey butter on cinnamon raisin bread has been our absolute favorite thing for breakfast! YUM!!!! I definitely encourage you to give it a try!! 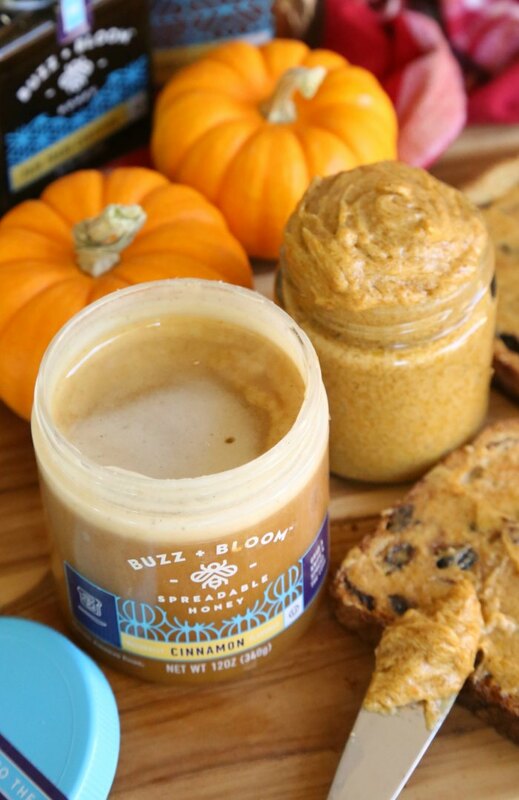 And, be sure to give Buzz + Bloom Honey a try! It’s available nationwide on their website, and at select retailers. 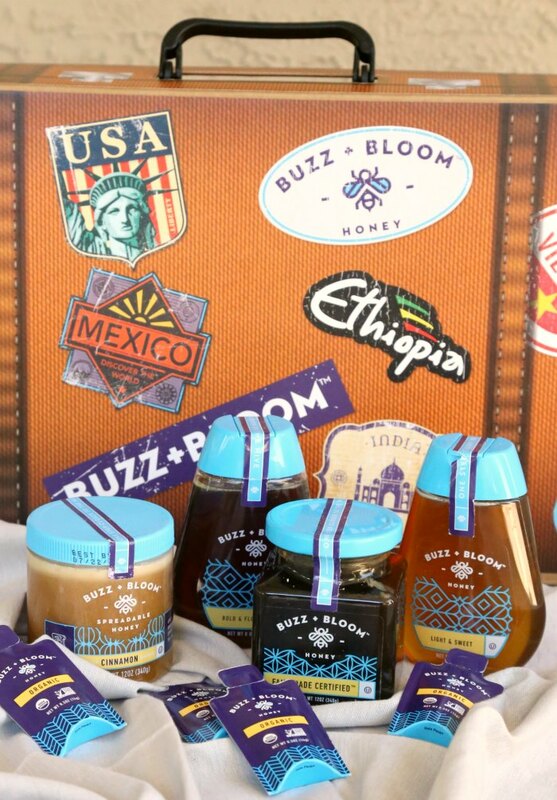 They have 14 all natural varieties, including Organic Non-GMO, Raw & Unfiltered and Fair Trade Certified Honey. 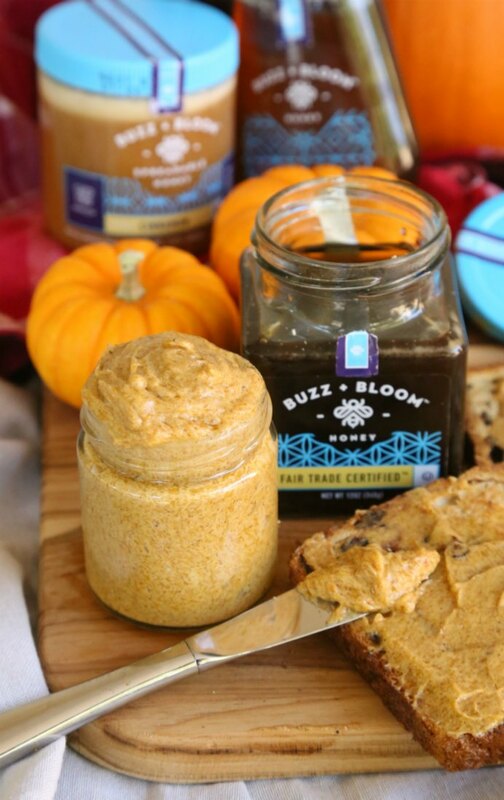 And those spreadable honeys are SO good! We love the cinnamon, but I want to try the blueberry one next. I bet that would be amazing on pancakes! Oh my! For more information, you can check them out on Facebook, Twitter, and Instagram. So easy and sounds so good!! We use honey all the time! Can’t wait to make it!! I just made this. Simple and OMG so good!